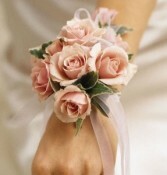 Photo shows light pink roses. 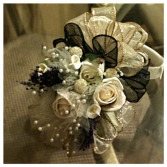 We have many other rose colors to choose from to make sure that it's a perfect match for her special dress. 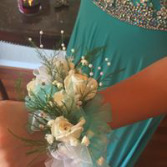 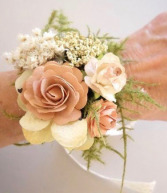 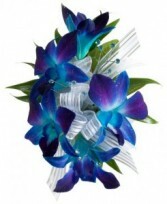 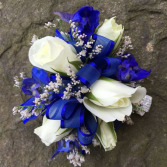 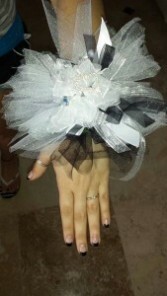 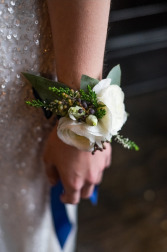 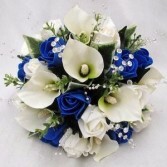 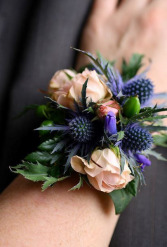 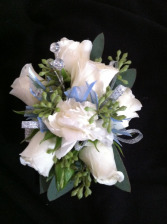 This elegant corsage comes with a fashion bracelet to keep long after her prom is over. 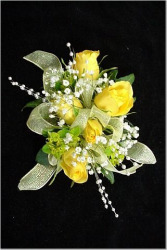 The roses are available in many colors to match her dress. 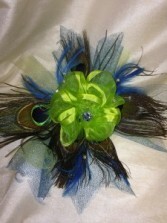 We also have many bracelets to choose from. 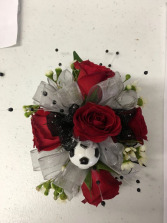 A beautiful combination of roses, ribbons & fillers with your sport incorporated. 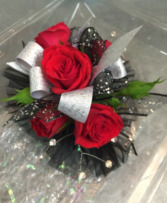 This wristlet is designed with the rose color of your choice, seeded eucalyptus, variegated greens and the ribbon color of your choice.